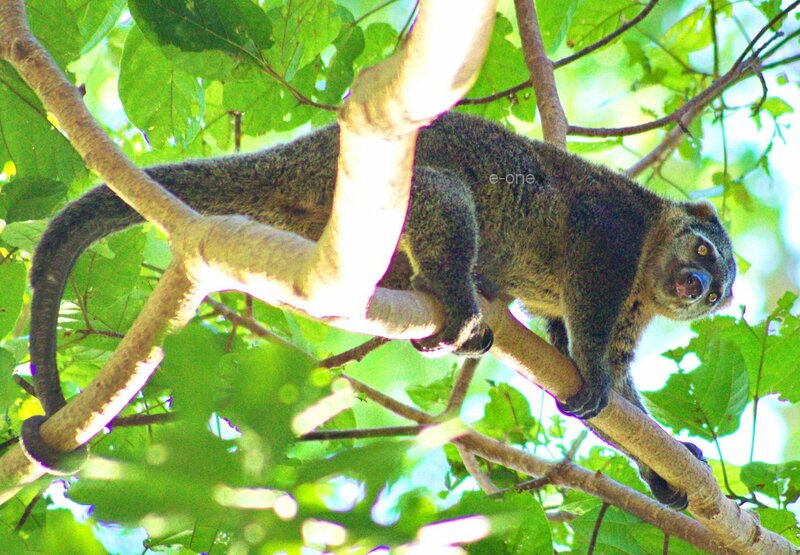 North Sulawesi hosts endemic animals for some primates, mammals, marsupials avian and reptiles. Tarsiers (Tarsius Spectrum) and Black Crested Macaque (Macaca Nigra) are endemic primates that have become prima donnas of the nature reserve. It is because they are easy to find. 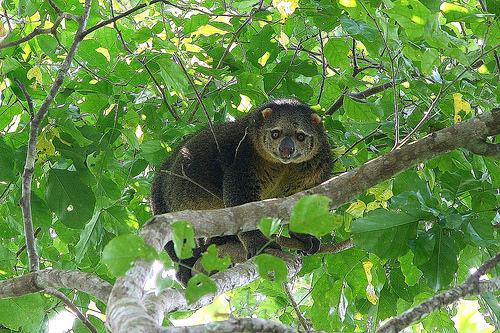 Cuscus is marsupial species that also live in Tangkoko. Many bird watchers come for Red Knob Hornbill, Maleo Birds, King fishers, Snoring Rails and so on. Timor Deer and Babi Rusa used to be found in this nature reserve. Flying Lizard is one cute reptile. Cicada is the prey of Tarsius and many of them here. These animals can be seen in Tangkoko Nature Reserve. It has become a sanctuary for both flora and faunas of Northern Peninsula of Sulawesi. Meanwhile, in the other area of the region exists an organization whose mission is to rescue and protect wild animals from domesticated and trafficking. Some people work hard to try to rehabilitate these animals before they return to jungle. There are two Orangutans who are waiting to be sent to Kalimantan. There are two female gibbons. There is also one Kasuari bird. It is waiting to be sent to Papua. One white kakatua bird who is able to copy words. Actually most inhabitant of this place is avian in many species. The are also groups of different kinds of monkeys. This animals have been rescued from people’s house and trafficking. 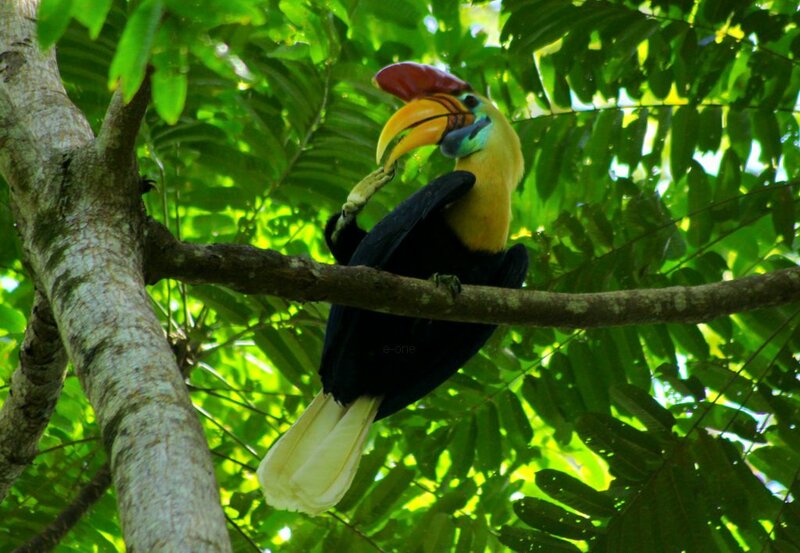 Tangkoko Nature Reserve Tour is a daily tour and Exclusive Tour. Not a Shared Tour. 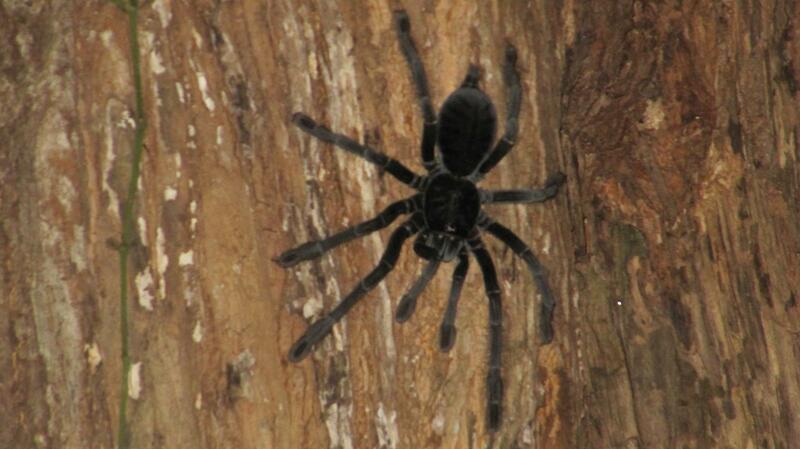 Excludes: Personal Needs and Tippigs to The Ranger, Donation in Tasik Oki Wild Animal Rescue.